Story | Sabbiatrici e Pallinatrici Fe.Vi. “When I began this huge adventure, in a little garage in my early twenties, I already had a clear view of what were my goals: fully acknowledge my clients necessities and give real concrete and reliable solutions. With the development of sanders and industrial vacuums, in areas ranging from stone business to shipyards, from productions to industrial structures, my purpose has been, and will always be, to provide services, improved and innovative products, and be a role model for the staff. I thank those who have joined my path and who have accompanied me, who for a short distance and others for longer distance, in these twenty years of steady growth. Fe.Vi. was founded in Monticelli Terme (Parma) in 1997 thanks to the enthusiasm and entrepreneurial spirit of Federico Viglioli when he was only twenty years old. At first the business included just a few pieces and everything was done in a small factory, but it was supported by an important ingredient: the passion for work. Federico Viglioli’s objective was to design, experiment and promote new sandblasting systems and systems for the treatment of surfaces.. . Sand Blaster machine which was the starting point for new ideas and the fulfillment of new ambitious objectives. 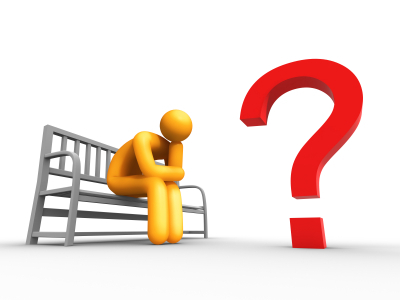 During 2004, the requests of the increasingly demanding customers pushes Fe.Vi. to rise yet to another challenge: develop along the range of sandblasting machines for the stone sector, also a complete range of chemical products to treat marble and granite. In 2007 Federico Viglioli has another successful idea. Thanks to the experience gained in the construction of vacuum sandblasting machines, Federico Viglioli decided to add another business sector to his already expanding activity and started marketing industrial vacuum units. In 2008 the company presented an exclusive aero-hydro blasting system Water Blast, designed for obtaining sizable results in the industrial and construction fields. In 2009, following great results in the vacuum field, Fevi presented the innovative HeoloS line of industrial vacuums, born to guarantee a superior and cutting edge level of quality. 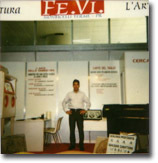 In 2010, Fevi is a leader in progress and innovation: new products and new technologies are proposed for both business divisions. 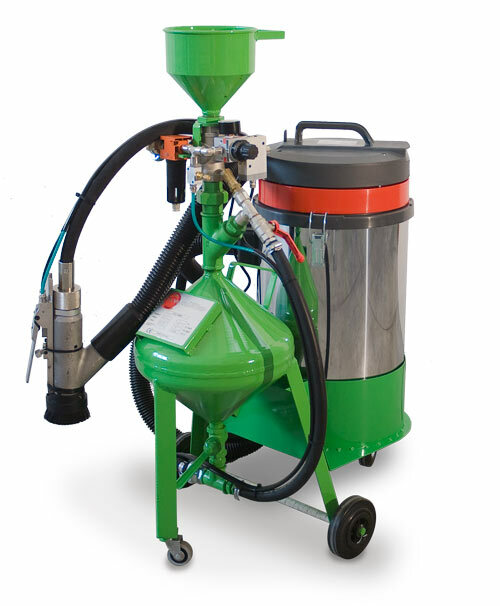 The new Italjet, Transformer, and Pressure blaster Max sandblasting machines represent the confirmation of the company's development and philosophy. The Industrial vacuum division adds to the range of the HeoloS line, but it above all solidifies its own position on the market, adding the pneumatic transporter and central vacuum divisions. 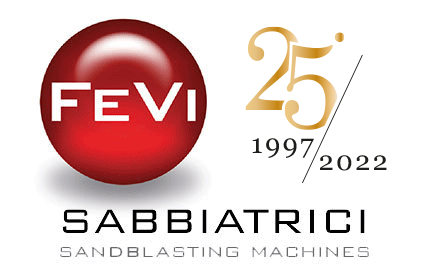 numerically-controlled sandblaster “Sab jet”, is officially presented at the Marmomacc International Fair in Verona. In the same year, the ecological cleaner Tornado FeVi, is also introduced, a great new development which revolutionises the current cleaning and surface treatment systems: FeVi increases the number of its customers in the multiservice and industrial cleaning sectors. The range and choice of portable sandblasters is widened with Sabix R and Pressure Blaster plus. In 2012 the industrial vacuum cleaners division welcomes the new technology offered by the Lautos,Series-brand,born to ensure maximum performance in extreme conditions where, a continuous use or the connection to working production apparatus, are involved. Another important new development of FeVi is the birth of the new website www.aeropulitura.it where Aniclean ”Aero cleaner” is presented, for the cleaning of anilox rollers and hoses. 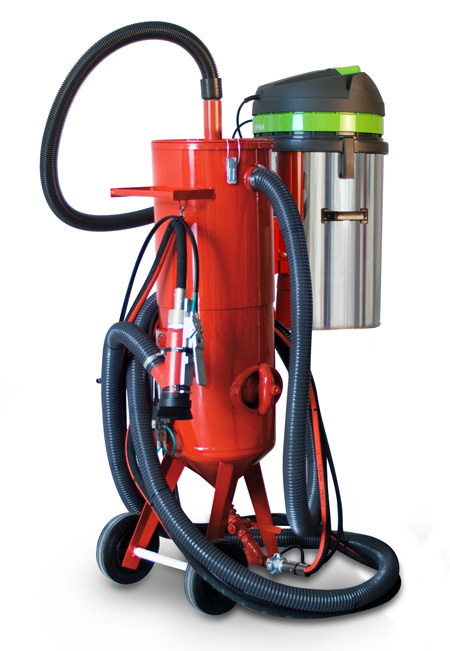 2013 stands out as the year that the Lautos Mini single-phase series was introduced to the world of industrial vacuum cleaners. The sandblasting industry welcomes the ISab pressure sander and the absolute quality of the sandblaster featuring Pressure TOP recovery. 2014 marks the renewal of Pressure Blaster recovery sandblasters, and in addition to a well-timed restyling, new models Pressure MAX and Pressure Infinity have also been inserted. Worth mentioning is the new Fevi Live communication channel via streaming, a support tool for sales and after-sales assistance. 2015 kicks off with a focus on communication, exemplified by the birth of FeVi Channel, the new free training channel. Fevi, forever attentive to the needs of its clients, also sets up a new toll-free number for assistance: 800 951 591 . Also worth noting is the company’s entry into the shipbuilding sector thanks to a special range of recovery sandblasters.